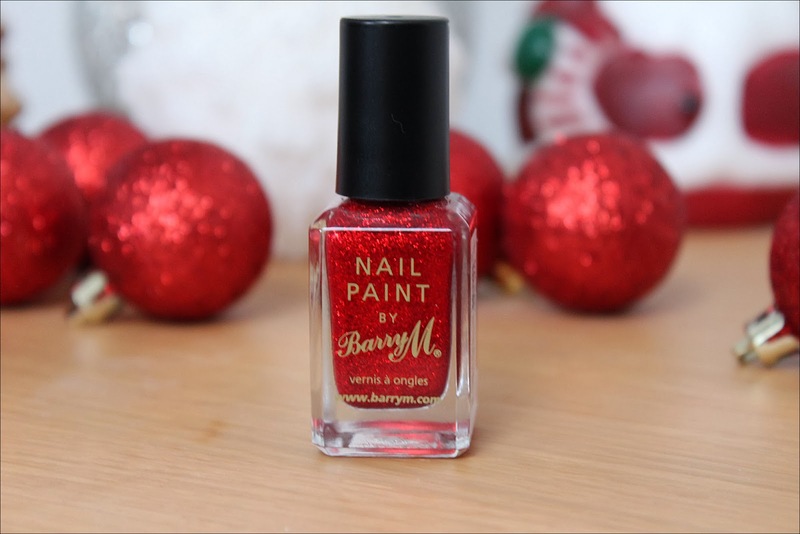 Today’s post features a stunning nail polish from Barry M called ‘Red Glitter’ which is perfect for the festive season. Last year this was the polish I wore over the Christmas period and it will definitely be the one I am wearing again this year. Being a glitter, this polish is a really versatile shade. It can be used on it’s own, as an accent nail or paired with a simple red polish. I think I am going to do the latter this year. 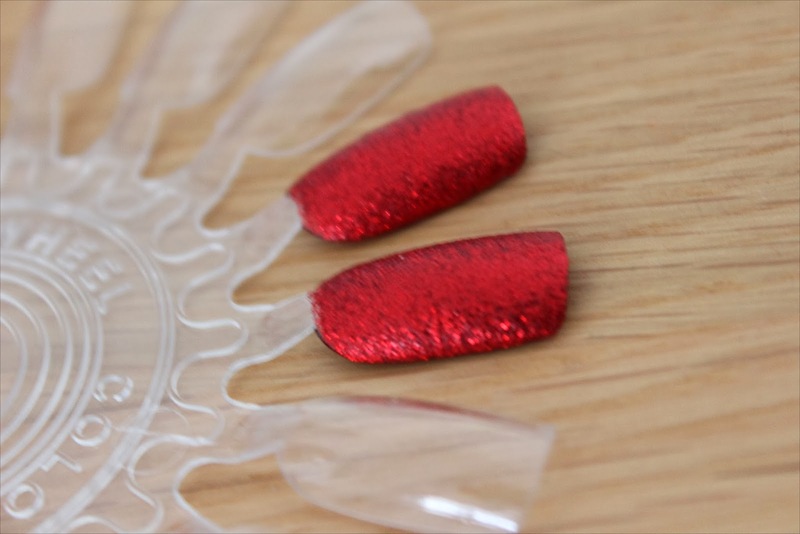 I plan to use a simple red all over my nails and then add a little extra glam and sparkle using ‘Red Glitter’ on my accent nail. The formulation of Red Glitter is made up of lots of tiny red specs of glitter suspended in a transparent liquid. It is reasonably thick so you can build up a dense looking glitter on your nails pretty quickly and after 2-3 coats you have a flawless finish. Once paired with a base and top coat this polish stays in place for around a week without any chips so is perfect to wear over Christmas and New Year. 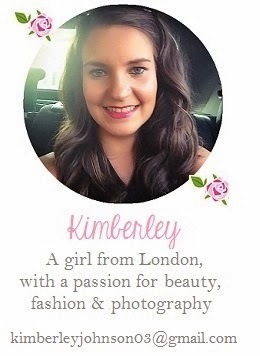 I also find the deep red to be the perfect shade. It isn’t too dark yet isn’t too bright either. 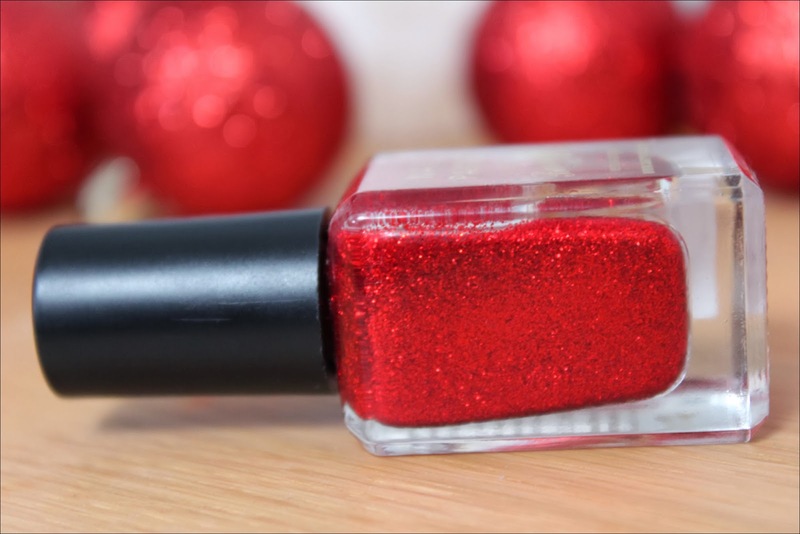 You can buy Barry M Red Glitter from Superdrug for the bargain price of £2.99. wwoowww that nail polish is amazing! I love glitter polishes although they are sucha pain to get off! I love it! Great choice for the season! Oh, how beautiful! Most perfect shade for Christmas. I love it! Ooh I wore and loved this last year – it's such a bugger to get off though arghh!! Nightmare, so gorgeous though 😀 perfect for Christmas!! you see more than TV channels in various groups like sporting activities Live NetTV APK If you have Smart TV then you'll have the ability to mount Real-time NetTV Apk.